I would like to speak with a Smart representative. What are the phone numbers for the Call Center or the nearest Smart showroom? Smart customers can contact our Call Center for free by dialing 1090, 1091, 1092, or 1093. Opening Hours are from 7:00am – 10:00pm, every day (including holidays). CLICK HERE for phone numbers, addresses, and opening hours for all our Smart showrooms countrywide. What are your opening hours? Do you open on Saturdays? All our Smart showrooms countrywide open at 8:00am Monday to Friday and close at 5:00pm except for the two showrooms located in Belize City, they both close at 5:30pm. All our showrooms are open on Saturdays from 9:00am – 1:00pm. I’d like to work at Smart, does your company have any vacancies available? Thank you for your interest in Smart! For all employment inquiries, kindly contact our Human Resources department. Who must I contact to become a GimmeDalla Agent? I’m a GimmeDalla Agent and I’m experiencing issues, who can I contact? Kindly contact Ms. Tanya Thompson, she is our GimmeDalla Supervisor and will be able to provide answers to whatever questions you may have! I’d like to submit a request for Sponsorship / Donation, who must I contact? Thank you for your interest in Smart! CLICK HERE to fill out our Sponsorship Request Form. Are there any deals or promotions currently available in the showrooms? What types of phones do you have? Do you accept trade-ins? The Device section of our website is kept up-to-date with a list of phones we usually keep in stock. CLICK HERE for pictures, prices, and specs. If we are currently running a sale, the promotional prices will be reflected. Regrettably, we do not have any Trade-In / Upgrade promotion currently ongoing or planned for the near future. Are there any payment plans available? How long does it take for approval? Regrettably, Smart does not offer the option to purchase a phone on payment plan. What are the requirements to get a Smart phone number? How much will it cost me? It costs $25 to have your phone programmed with a Smart phone number. If your phone requires a SIM, there is an additional cost of $15 for the SIM. To sign up for our Prepaid service, all you’ll have to bring with you is an ID. To sign up for our Postpaid service, you will be required to bring in an ID, an utility bill, and two-months’ deposit. NOTE: Phones bought from us already come with phone numbers pre-installed. No additional payment is required. Can I register more than one number in my name? Yes, you can have more than one number registered in your name. I have a Smart phone number, how much will it cost me to change it or transfer it to a new phone? Customers with Smart phone numbers registered in their name will not be charged anything to change it or transfer it to a new phone. All you’ll have to do is visit your nearest Smart showroom with an ID. Under what circumstances my phone number would be deactivated? How much will it cost me to reactivate it? Our system automatically deactivates Prepaid phone numbers after three months of inactivity. A number is considered inactive if no calls are made. After a number has been deactivated it is usually recycled in our system and could potentially be redistributed. However, if the number is still available, there will be no charge to reregister it in your name and reprogram it to your phone. If it has been redistributed, you will need to purchase a new Smart phone number; the cost is $25. My phone was lost or stolen, can Smart disconnect or deactivate my phone number for me? Yes, if the phone number is registered in your name, you can visit the nearest Smart showroom with an ID and request to have the line suspended until your phone has been found/returned or until you purchase a new one. If the phone number is not registered in your name, you’ll need to bring in a copy of the owner’s ID and a written letter authorizing you to suspend the line on their behalf. Additionally, if the phone was bought from Smart, we can ask our customer service representatives countrywide to be on the lookout for it should it ever turn up in one of our showrooms. I’m planning on buying a phone, what are the system requirements if I want it to work on Smart’s network? Your phone will need to be brought in unlocked. If it’s a CDMA phone, it will need to be CDMA 800/850 MHz and should be able to connect to LTE band-13. If it’s a GSM / UMTS phone, it will need to be UMTS band-5. NOTE: If you are purchasing a phone from the U.S., phones made for the Verizon network work best. Can a phone that uses a SIM card work on Smart’s network? Yes, it will work on our network if it connects to the UMTS band-5 frequency. NOTE: We recently launched a new UMTS network that will enable us to program phones that only use SIM cards to access our network. However, we are still in the early stages of development and coverage is currently limited to all major highways and towns with expanded coverage in Belize City, San Pedro, San Ignacio, and Santa Elena. Ask our representatives for coverage details. Can Smart unlock my phone? We can only unlock iPhone versions 4 and up. It costs $50 to unlock an iPhone 4 and $150 to unlock iPhone versions 5-X. All other types of devices will need to be taken to an electronics store that provides unlocking services. Can my phone be returned? Is my phone under warranty? Smart warrants that the device sold performs according to industry standards TIA/EIA–98-D and under normal network operational conditions will be able to receive and originate communications services in accordance with its respective capability. SMART by way of its authorized Service Centers, makes a commitment to repair or exchange at its sole discretion and without any liability, the eligible devices. Repair times will be determined by the type of fault of the device. The device must be under the warranty period stated in the original receipt. Only handsets purchased directly from Smart through its Showrooms or Authorized Dealers are covered. Warranty coverage applies to the original buyer of the handset upon presentation of original receipt and proper identification. Phones must be returned in their original boxes with all components and accessories (phone, charger, battery, etc), in as new conditions. This limited warranty is not transferable to any third party, including but not limited to any subsequent purchaser or owner of the Product. Handsets subjected to physical neglect, misuse, water damage, wear and tear and the like, and which have the serial number removed, defaced, altered or made illegible, are not covered under this warranty or any other. Normal wear and tear damages are not covered by this warranty. Displays, Keypads, Earpieces, microphones, cameras and accessories like batteries or chargers are not covered under this limited warranty. This limited warranty does not cover complimentary, rented, lost or stolen phones or phones brought by customers. Handsets which has been opened, repaired, modified or altered are not covered. Any other conditions that are not included or detailed at the eligibility clause of this warranty. My warranty is up. Do you do phone repairs? Do you sell accessories like batteries, chargers, etc.? Regrettably, we do not sell accessories nor do we do phone repairs. How can I program my phone to access data? How can I set up my APN? Why can’t I activate the hotspot feature on my phone? Only our Pantech phones and the Motorola Moto G4 support hotspot; the rest of our stock are from the U.S. and the feature is locked to the network we acquired them from. What is a MiFi? How does it work? How much does one cost? MiFi are small, portable devices used to create an internet hotspot. It can provide 8-10 WiFi-capable devices (within a 20 foot radius) with a 4G LTE internet connection. The username and password for the MiFi scrolls across the screen, all you have to do to gain access is to turn on your Wi-Fi and connect to it. Our MiFi connect to our 4G LTE network, so internet is not unlimited. CLICK HERE for the data packages we offer, instructions on how to purchase data for your MiFi, and how to check your data balance. We have two MiFi models available for purchase, the Novatel Jetpack 5510L (CLICK HERE for its price and specs) and the Ellipsis Jetpack MHS700L (CLICK HERE for its price and specs). To resolve this issue, kindly locate “Call Settings” on your device. Check to make sure that “Assisted Dialing” is disabled and “Long Distance Call Setting” is deactivated. I’m trying to place a call, but whenever I do, my phone keeps adding 011 or 001 to the front of the number I am dialing. How can I stop this from happening? Does Smart offer an unlimited home internet service? Yes, it’s called Broadband Unlimited Internet. CLICK HERE for information on the speeds we offer, their prices, locations where service is available, and requirements for sign-up. Do you offer bundled services? Regrettably, we do not offer bundled services. When setting up Broadband Unlimited Internet, do you run a wire from the lamp post to our home? What type of equipment is involved? Do I have to pay a rental fee for the modem? To provide your home with Broadband Unlimited Internet, we attach an antennae to the roof of your house and point it in the direction of one of our Smart towers. We run a LAN line from the antennae to our modem that is placed somewhere inside your home. The antennae pulls the internet signal from the tower, feeds it to the modem, and you connect to the internet using WiFi provided by the modem. All the equipment is provided free of charge. We’ll uninstall and retrieve the equipment when your service is terminated. How far does the WiFi signal for Broadband Unlimited Internet reach? Will it cover my whole house? Our Broadband Unlimited Internet modems give off a WiFi signal with a range of up to 200 feet (unobstructed). Whether it will cover your whole house depends on how big your home is and if there are any obstacles in the way that may block or bounce the WiFi signal. Does the weather affect Broadband Unlimited Internet service? No, the weather does not affect our Broadband Unlimited Internet service. The only way service will be interrupted is if the weather physically damages the equipment in some way. How many users can be connected to Broadband Unlimited Internet at one time? Smart’s Broadband Unlimited Internet service can connect up to a maximum of 32 users. I’m experiencing issues with my Broadband Unlimited Internet service. Can someone assist me in resolving it? Yes, we have a Support Line available for Broadband Unlimited Internet customers. Calling it will put you in contact directly with our technicians. They will be able to resolve whatever issues you may be experiencing over the phone! If you have a Smart phone, you can call the Support Line for free by dialing 0-800-SUPPORT. If you have a BTL/DigiCell phone, dial 280-0025. I’d like to change my username and password for my Broadband Unlimited Internet connection. Can you provide me with instructions for doing this? To change your password, type 192.168.11.1 into your browser while you’re connected to WiFi. To log in, the username is home and the password is h0meuser. Go under wireless to change SSID, then Wireless Security/Pass Phrase to change password. Click Save and then Reboot. Can I upgrade or downgrade the speed for my Broadband Unlimited Internet connection? Yes, kindly visit your nearest Smart showroom near the end of your next billing cycle to request an upgrade or downgrade of internet speed. If you’ll be upgrading your speed, you’ll be required to cover the difference in security deposit. If you’ll be downgrading your speed, the difference in security deposit can either be reimbursed or applied as credit toward your upcoming bill. I’ll be leaving the country for a couple months, can I temporarily suspend my Broadband Unlimited Internet service? Yes, kindly visit your nearest Smart showroom to request the suspension of your account. Service can be suspended for a maximum of three months. You’ll be required to cover any outstanding balances associated with your account. I’m moving, can my Broadband Unlimited Internet connection be relocated to my new address? Yes, kindly visit your nearest Smart showroom to request relocation for your Broadband Unlimited Internet service. A re-installation fee of $75 will be required. Can I relocate my Broadband Unlimited Internet router from one room to another? Yes, we advise that customers seeking to move their router from one section of their home to another visit the nearest Smart showroom and request the assistance of a Broadband technician. A $50 relocation fee may be charged. What billing cycle am I on? Am I required to pay my bill at the beginning or end of my billing cycle? Our billing cycles begin on the 1st, 7th, 14th, and 22nd of each month. Payment is made at the end of your billing cycle. I’d like to pay my Broadband Unlimited Internet bill, what options are available? Or, by depositing the payment into our accounts for Belize Bank (#13575 601-012-0002) or Atlantic Bank (#100151489). After payment has been made, kindly scan or take a picture of the deposit slip and email it to billing@speednet-wireless.com Include your Broadband account number in the email. I’d like to pay my Postpaid bill, what options are available? And online using Bill Pay on websites for Belize Bank and Atlantic Bank customers (Belize Bank customers will need to register with their bank). Does Postpaid minutes / text / data rollover? Regrettably, postpaid minutes / text / data do not rollover. At the start of each billing cycle your account is replenished with the minutes / text / data allotted to your plan. How can I add credit to my account? Smart offers many easy options to add credit to your mobile phone. CLICK HERE for the different options that are available and choose the one that’s best for you. In what order is credit used? Primary credit is consumed first, then promo credit. Can I purchase data packages or SMS bundles with promo credit? SMS bundles and data packages can only be purchased with primary credit. However, Prepaid, Flex Jr., Choice, and Select customers can purchase a combination talk, text, and/or data package with Primary or Promotional credit by dialing FLEX (3539)! Payment for these packages are deducted from your primary credit first then from your promo, so we usually suggest that customers purchase these packages when they are out of primary credit. What can I do with my Promo Credit? Purchase a combination talk, text, and data package by dialing FLEX (3539). How can I check my account, SMS, and data balance? To check your account and SMS balance, dial 122. To check your data balance send a text to 9666 (ZOOM), in the body of the message type 501 before the phone, dongle or MiFi number (Example: 501670####). How do I download the Smart App? To download the Smart App, search for “Smart Belize” on Google Play or the App Store. What do I dial to purchase a SMS bundle? Prepaid, Flex Jr., Choice, and Select customers can purchase a SMS Bundle with Primary credit by dialing SMS (767)! How can I purchase a data package? Dial NET (638) for 1000 MB or below. Dial DATA (3282) for 2000 MB or higher. Or, using a Smart phone, send a text to ZOOM (9666); in the body of the message type the requested data package, a space, and 501 before the modem number. How do I request a credit or data loan? How do I send an SOS? Prepaid, Flex Jr., Choice, and Select customers experiencing an emergency have several options available to get in contact with family, friends, and/or loved ones. CLICK HERE for instructions on how to take advantage of the different SOS services we offer. Can I transfer primary credit, promo credit, SMS, and/or data from one Smart number to another? Yes, if the phone number is registered in your name, you can visit the nearest Smart showroom with an ID and request to have your primary credit, promo credit, SMS, and/or data transferred to a Smart number of your choosing. SMS SHARE: To transfer SMS from one Smart phone to another, send a text to SMS (767). In the body of the message, type the number you’re sending the SMS to and the amount. DATA SHARE: To transfer data from one Smart phone to another, kindly visit your nearest Smart showroom with your ID. 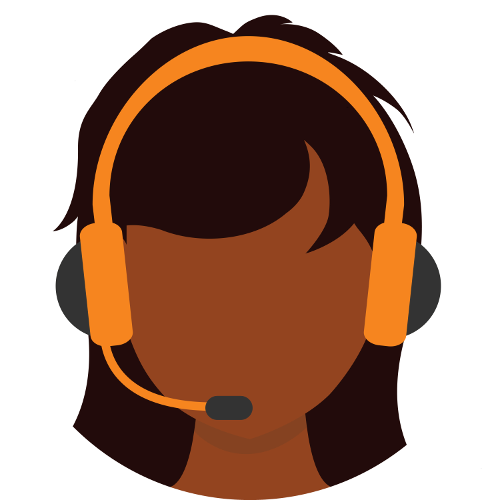 A customer service representative will sign your number up for access to the My Account portal located in the menu of this website. Using My Account, you will be able to add/remove up to 10 numbers to your share group. This will allow you to add data to their account.